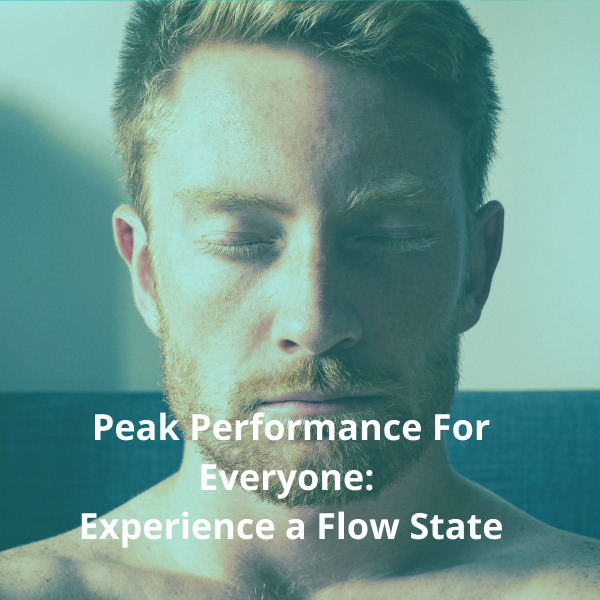 Did you know that flow state helps achieve peak performance? That training your brain allows you to harness its full potential? Brain fitness can be improved through mind-centering techniques. Learn three techniques to help you get in the zone and achieve your goals. What is peak performance? The broad definition is being in a heightened mental state in which the person performs at the top of their ability and is characterized by a lack of self-consciousness, and feelings of confidence. The person easily experiences her mind and body as completely synchronized. During such states, moment-to-moment decision making is fluid and precise, and the outcomes feel effortless. There are different kinds of activities an individual can be engaged in during peak performance states. It could be a primarily cognitive task, such as writing, or a physical task, such as playing a sport. To have such an experience, you don't have to be performing at the level of an Olympic athlete or a concert pianist. At any level of skill, the average individual can reach peak performance state. This can be in any activity you want to focus on - athletics, work, or cooking. It is possible to cultivate the ease and harmony of mind and body synchronization with all activities. The qualities include awareness, concentration, clarity of the goal, loss of self-consciousness, and ability to focus on the task at hand. He describes a key component as being engaged in a task that it not perceived as too hard nor too easy. Ability and the task must be well matched in order for flow state to occur. Have you ever been so prepared for a performance, that you don't even have to think about what you're doing? For example, making a net in a basketball game, giving a fantastic presentation at work or remembering all your lines during a play. When we are well-prepared, time flies by and we may not even be able to explain why we did so well. This effortlessness is a key characteristic in peak performance. In order to perform at our best, we must not only be prepared with knowledge, but also with a centered mind. When we are stressed, worried or nervous, we distract ourselves from the task at hand. Have you ever been at a meeting while you are worried about something else? Odds are, you constantly checked your phone for updates, zoned out or simply could not focus on whatever was being said. Your brain was divided, and not able to give 100%. The same is true for any important activity. When we are not centered, our brains perform below our full potential. Tasks that should be effortless become difficult and cumbersome. Luckily, there habits that can improve mental focus and prepare the brain to enter flow state. How do we create peak performance? These tools help to calm and center your brain to prepare it to enter flow state. When we are stressed or worried, it interrupts the mind-body dynamic that is essential for achieving peak performance. All three of these activities work by increasing mindfulness and the communication between physical and mental. 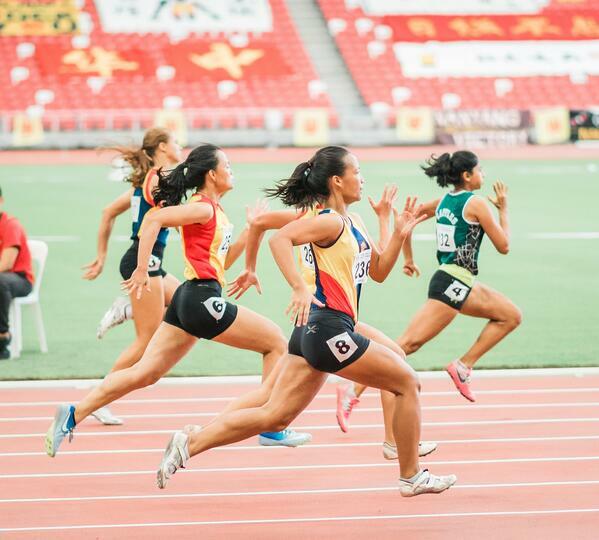 Studies on peak performing athletes show that those who engage in a regular practice of positive self-talk outperformed athletes who did not have such practice. We all know what it feels like to be criticized for work versus when we are encouraged and valued. The key is whether we wait for comments from others or we actively talk to ourselves in a way that's positive, and accurate. And practicing quality self-talk improves our self-esteem and confidence. Note in your mind three things you did today where you made a good effort. Emphasizing effort over outcome is key to growing positive self-talk. We can't control outcomes but we can control how much effort we made. Use a warm and encouraging tone in your mental self talk. As a helpful trick: if you are struggling to find a warm tone, imagine that you are speaking to an eight-year-old. Use that tone when describing the three areas in the day where you made good effort. Note in your mind three things that happened during the day that you appreciated or are grateful for. They do not need to be big in order to be effective. It can be as small as appreciating the cool breeze as you walked to your car or a colleague offering you coffee, or as big as a peace agreement signed between two warring parties. Your brain produces positive bio-chemical changes in either case. While there are biofeedback devices to help create a state of physiological regulation needed for peak performance, some biofeedback techniques work to achieve a flow state without needing anything except awareness. Biofeedback is defined as consciously altering your peripheral nervous system, such as through altering your breathing rate, which shifts autonomic nervous system functioning. Some people use biofeedback devices to achieve physiological changes, such as a heart rate variability monitor. However, the results can be achieved without using a tracking device. Here is a breathing technique to create cardiac coherence. Slowing the breathing cycle can lower the heart rate and also signals to the brain through a signal that goes up through the vagus nerve to the brain and alerts it to shift out of a stress response and into a relaxation response. Slowly inhale for 5 seconds and slowly exhale for 5 seconds to create 10 second breath cycles. Repeating for 3-5 minutes total. Encourage the breath to come from lower in your abdomen rather than using shallow breathing. It sometimes takes a while to develop this skill so don't worry if your breathing is shallow at first. 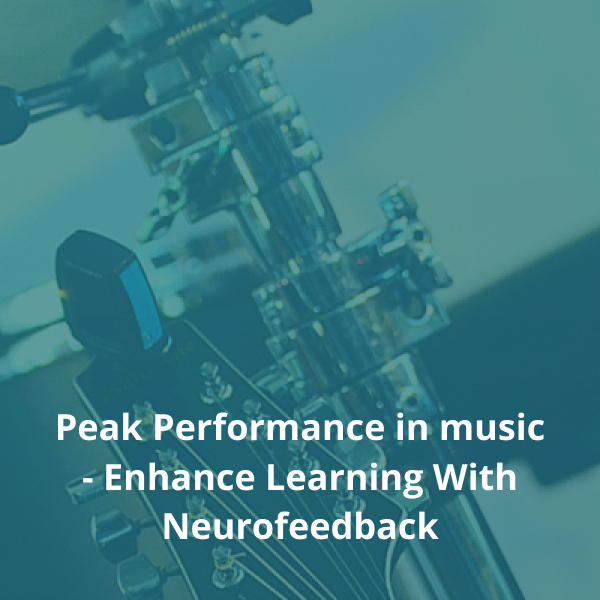 A growing trend in brain training to achieve peak performance is with neurofeedback where the individual can work directly with the brain wave activity to create new patterns. Scientists researching peak performance have found that the brain wave pattern changes when we go into the flow state. Our brains shift from the fast-moving beta wave of waking consciousness down to the far slower borderline between alpha and theta. In neurofeedback training, the automatic functioning brain is learning through precisely timed feedback, millisecond by millisecond, about its own EEG or cortical activity. Through the feedback process, which interrupts our habitual brainwave patterns, the individual more effortlessly can shift into alignment with here-and-now needs. By becoming synchronized with the present, peak performance states are possible. Being able to focus single pointedly on a task is also enhanced through completing a neurofeedback training program. Neurofeedback helps with managing the stress response. As a result a trained brain is less likely to be caught in the habit of distraction, being mentally speedy and constantly scanning the environment, all habitual reactions to stressors. 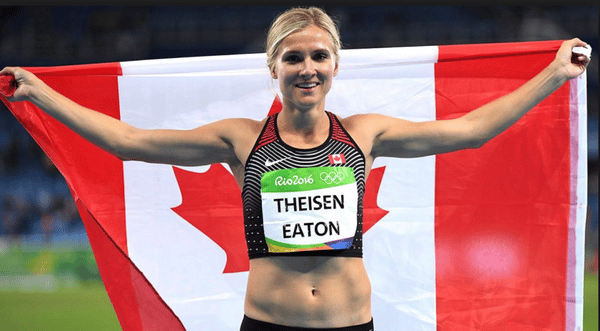 Brianne Theisen-Eaton, Canadian Olympics competitor in track and field knew that the key to her success in Rio for gold was mental. 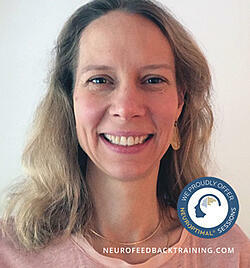 Her solution was to integrate biofeedback and neurofeedback into her training regimen. For more about Brianne's training Read peak performance article in the New York Times. After the birth of her second child, U.S. Beach Volleyball Olympian Kerri Walsh-Jennings also started neurofeedback in Los Angeles as part of her mental training to create more flow state. "My training has always focused on physical agility but brain training helps sharpen my mental agility as well," she says. Using neurofeedback for peak performance is not just for elite athletes. The brain's ability to quickly change states is based on changing needs in any given moment. Whether it's having undistracted focus on how the body needs to perform in a competition or on homework or a work assignment, the key is the brain's ability to tune into present needs and then change states to brain patterning appropriate for the current task. That's what the automatic-functioning brain learns through a series of neurofeedback sessions. Using neurofeedback, along with positive self-talk and biofeedback breathing techniques, will help your brain achieve flow state through increased mind-body awareness. Peak performance is wider topic than could be covered within a single article. Take a look at our additional resources.